Today is a Goodie Box day! Get a box filled with popular products at 50% or more off of retail value. Plus you’ll get a deal on shipping/handling. 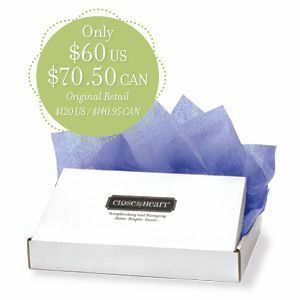 Purchase this Goodie Box (retail value $120 US / $140.95 CAN) for only $60 US/ $70.50 CAN. Buy now! This offer is while supplies last and will be snatched up quickly. Yesterday’s mystery Jackpot June item was … That’s Amore My Stickease Assortment. If you purchased That’s Amore My Stickease Assortment yesterday on your Consultant’s MyCTMH site, you also received Foam Die-Cuts Numbers for FREE (retail value $3.95 US / $4.75 CAN)!